"To be totally honest, I almost feel guilty for knocking David Einhorn," he said. "I will give a lot to charity but I'm not as well off as him to give it all to charity. It's an honor to be part of the money that's donated to One Drop." 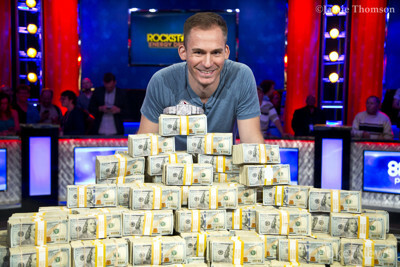 Justin Bonomo won the 2018 WSOP Big One for One Drop defeating Fedor Holz heads up. 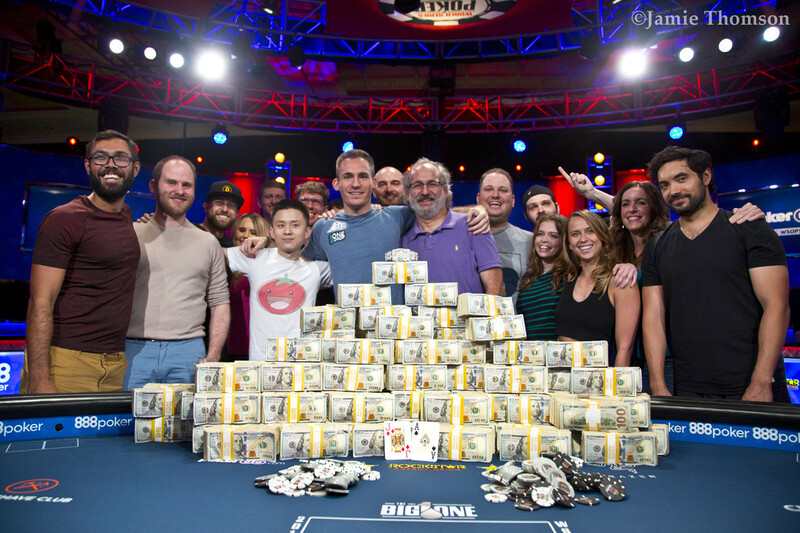 He continues an incredible year in high roller competitions. He has won upwards of $24 million in the first seven months of this year. Hand #156: Justin Bonomo limped in on the button and Fedor Holz shipped all in for 23.6 million. Bonomo quickly called and the cards were on their backs with Holz's tournament life on the line. Bonomo was in a dominating position heading to the flop of . The turn was the and Holz picked up some straight outs to go with his one live card. The dealer burned and turned the on the river and Bonomo held on to eliminate Holz in second place. Holz will still take home $6,000,000 for his efforts today. Hand #153: Fedor Holz limped in and Justin Bonomo checked. The flop went check, check, and the appeared on the turn. Bonomo bet 2.4 million and Holz called to see the on the river. 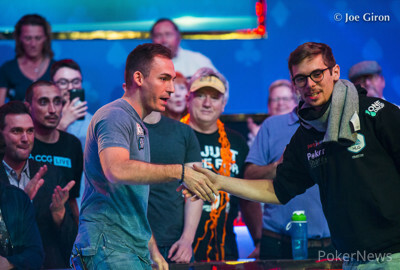 Bonomo's bet of 6 million was called and he rolled over the for top pair, Holz had the equally strong and they chopped it up. Hand #154: Bonomo limped and Holz checked, the flop came . Holz checked over to Bonomo, who checked behind, and the followed on the turn. Holz bet 5 million and Bonomo released his cards. Hand #155: Holz opened the action with a raise to 3.1 million and Bonomo called. The flop was the and they checked it over to the turn. Bonomo bet 5.5 million and Holz called, the river completed the board. Bonomo now made it 11 million to go and Holz folded to drop back to 20 big blinds. 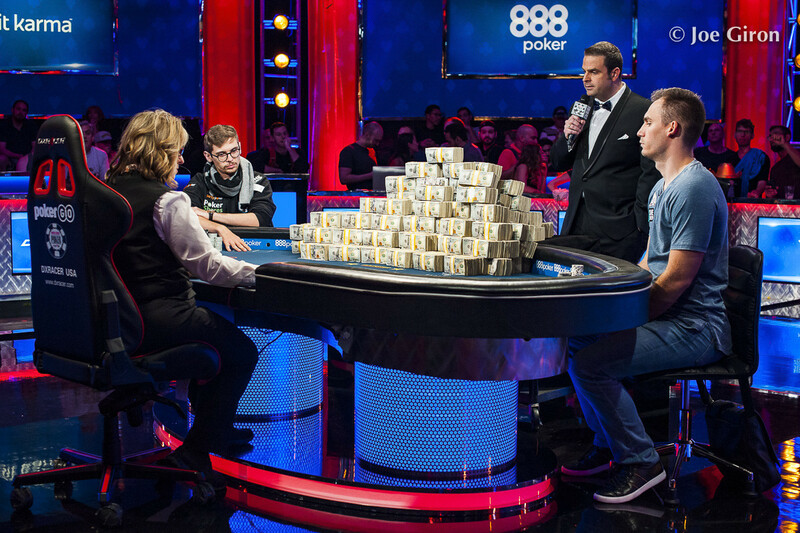 Hand #148: Justin Bonomo limped in on the button and Fedor Holz checked his big blind. The flop came and both players checked to the on the turn. Holz checked again and Bonomo bet 1.2 million which got a fold from Holz. Hand #149: Holz raised to 3.1 million on the button and Bonomo defended from the big blind. On a flop of , Bonomo check-folded to a bet of 4.2 million from Holz. Hand #150: Bonomo just called on the button and Holz raised it up to 6.2 million. Bonomo laid his hand down and Holz pulled in the pot. Hand #151: Holz opened to 3.1 million and Bonomo called to see a flop of . Both players checked and the landed on the turn. Bonomo checked again and Holz checked back. 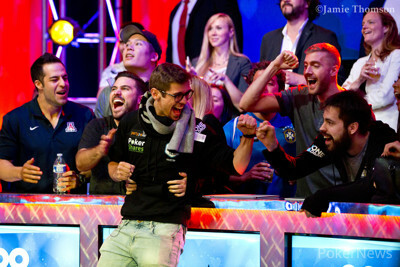 The river brought the and Bonomo led out for 10 million. Holz dumped his cards to the muck and Bonomo collected the chips. Hand #152: Bonomo just called on the button and Holz checked his option. 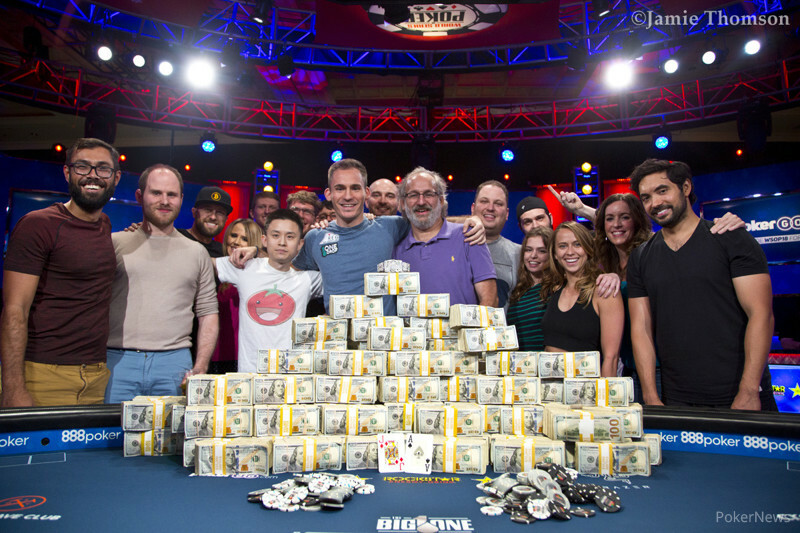 The flop fell and Bonomo took down the pot with a bet of 1.2 million. Hand #146: Justin Bonomo limped in and folded to a jam by Fedor Holz. Hand #147: Holz shoved for 16.4 million and Bonomo quickly called. Holz improved to a pair of jacks on the flop, and the turn and river runout let Holz double to remain in contention. 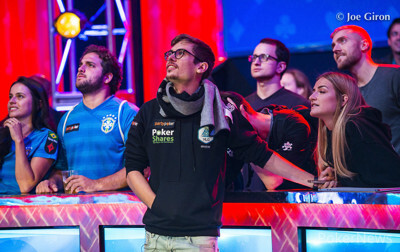 Hand #145: Holz raised to 2.8 million and Bonomo moved all in to force a fold. Players are now on break for 10 minutes. Hand #140: Justin Bonomo raised all in on the button and Fedor Holz folded his big blind. Hand #142: Holz limped in and Bonomo opted to check his big blind as the flop came . Bonomo check-called a bet of 1 million from Holz and the hit the turn. 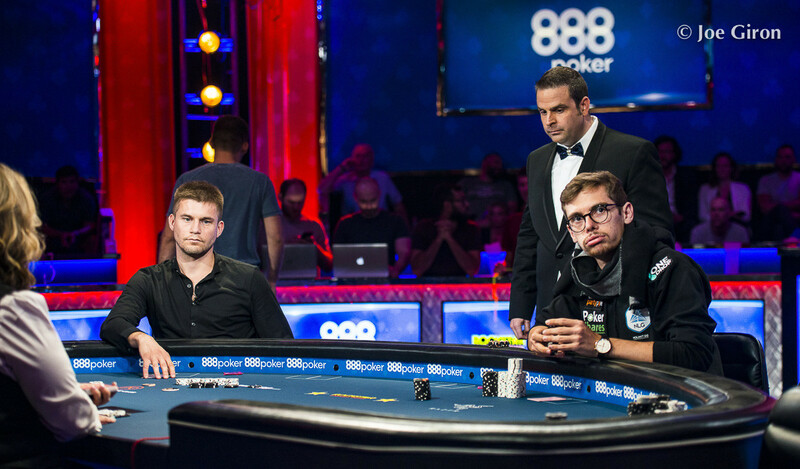 Bonomo checked again and Holz fired in a bet of 2.6 million. Bonomo still called and the completed the board. Bonomo checked for the third time and Holz checked back. Bonomo tabled for a flush and Holz sent his cards to the muck. Hand #143: Bonomo shoved all in on the button and Holz threw his cards away. Hand #144: Holz shipped all in for 10.4 million on the button and Bonomo quickly made the call, putting Holz at risk. Bonomo was slightly in the lead but Holz held two live cards. The flop came and Bonomo still held the lead. The turn brought the and Holz paired his queen to jump out front. The river was the and Holz held on for a full double up.